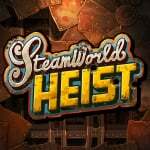 SteamWorld Heist is due to start arriving in Fall this year, with the 3DS and Wii U eShop stores on the list of supported platforms. A spin-off from SteamWorld Dig, its blend of a steampunk aesthetic with 2D turn-based strategy is certainly full of potential. Developer Image & Form is now launching a set of challenges to find winners that'll become SteamWorld Ambassadors; this'll entitle lucky gamers to early access of each version before release, in addition to regular updates on progress from developers. The video below - which pays homage to Satoru Iwata's Nintendo Direct broadcasts - explains the details of these bi-weekly challenges that'll determine who gets to be an Ambassador. 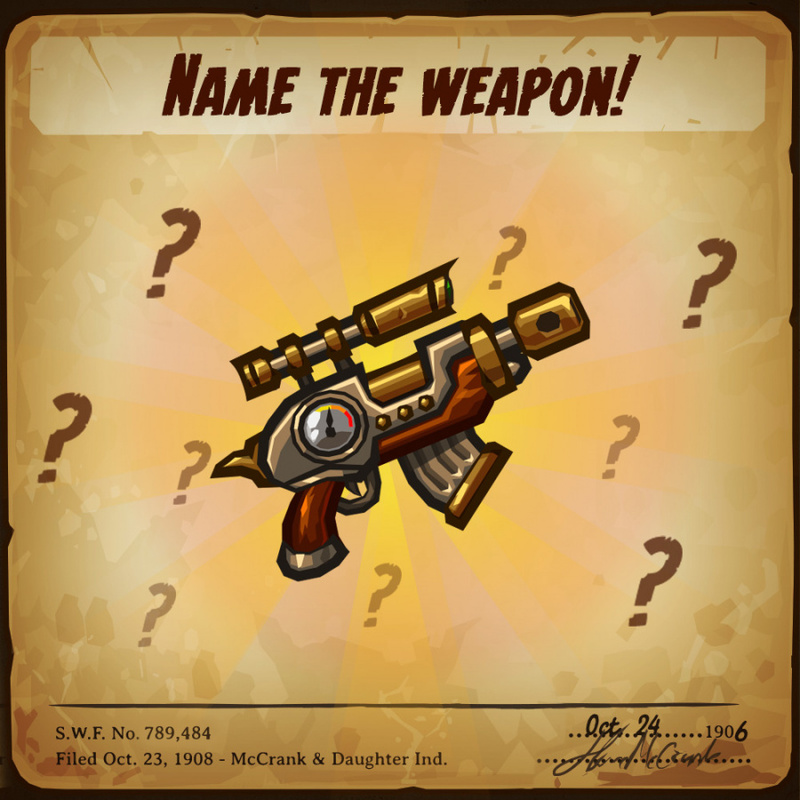 The first challenge has been posted on the studio's blog; you have to name the weapon shown below. Will you be joining in to try and become a SteamWorld ambassador? I like this idea. I will definitely keep an eye on the challenges. It would be great to play it early and give it to some of my friends too. What a nifty idea to get some good publicity! I'm definitely going to check it out. Kinda neat way to get attention to the game but I'll just wait for the release. Ha, I was expecting a bit more casual racism in the impression. But fairly well done, nonetheless. I like free games, so I'll give it a shot. That's a fairly pedestrian looking weapon to attempt to name from sight alone. I just love Image & Form's story. Struggling iOS developer, made SteamWorld Tower Defense for DSi with modest sales, put out SteamWorld Dig on 3DS as a last-ditch effort, for all the marbles, literally bet their future on its success or failure. Game becomes one of the best-selling indie games ever on the platform, explodes onto every other platform, turns I&F into a respected developer. And it's a GREAT game!!! I'll definitely be trying to win every fortnight, and failing that, Heist is a day-one purchase for me. I put my suggestion in, but I do wish they'd said just a little more about what the weapon actually is, does. It's hard to even tell from that picture/art style if it's a pistol or rifle and we don't know if it fires bullets or lasers or... I dunno. Steam. But I'll keep giving these a shot and will be getting this game, even if I'm not picked as an ambassador. @JJtheTexan <3 Just about sums up what we've been up to the last few years! And before that we languished for years as a work-for-hire studio. Exciting times, indeed! Good luck with the challenge, everybody - some 180 suggestions in 4 hours! @imageform When will the winner of the first challenge be announced? edit: Looks as if the reveal will come in Tuesday's post. Can't come soon enough! "The video below - which pays homage to Satoru Iwata's Nintendo Direct broadcasts - explains the details of these bi-weekly challenges"
Bi-weekly: twice a week or fortnightly? @BornInNorway81: Fortnightly he says in the video.